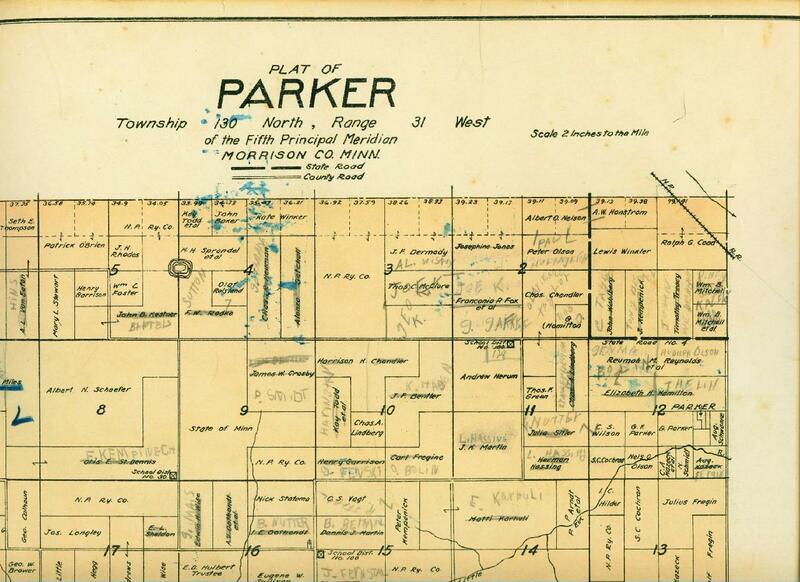 Map of Parker Township, Morrison County, Minnesota. 1923. 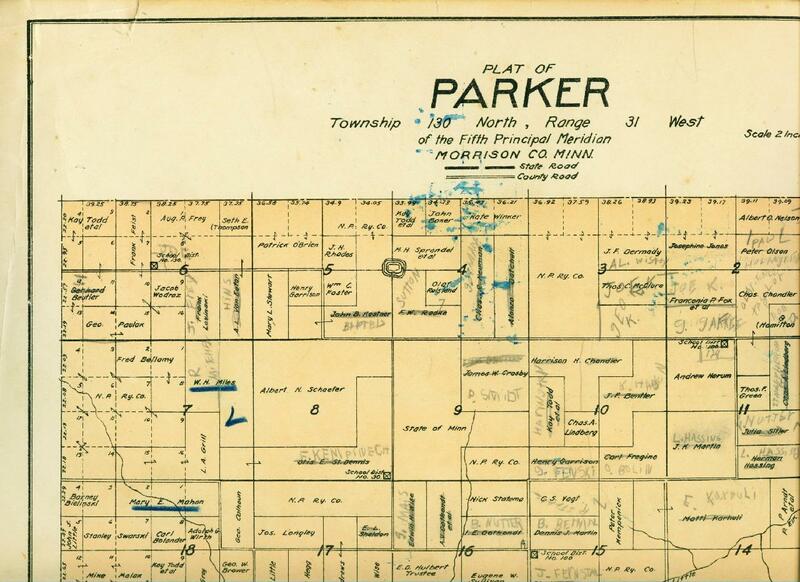 This map of Parker Township, Morrison county, Minnesota, was copied from a county plat book, circa 1923. There are penciled notes, apparently updating the property owners. 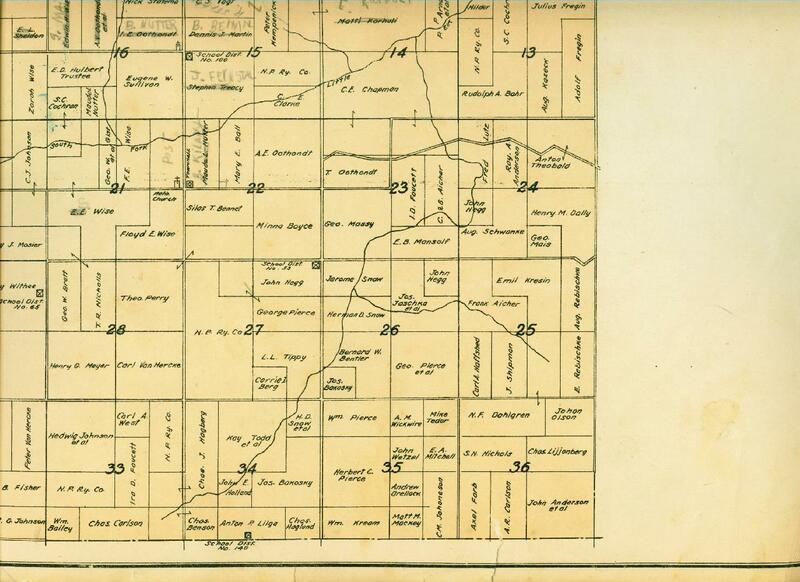 Lewis Winker owned 100 acres in Section 1. 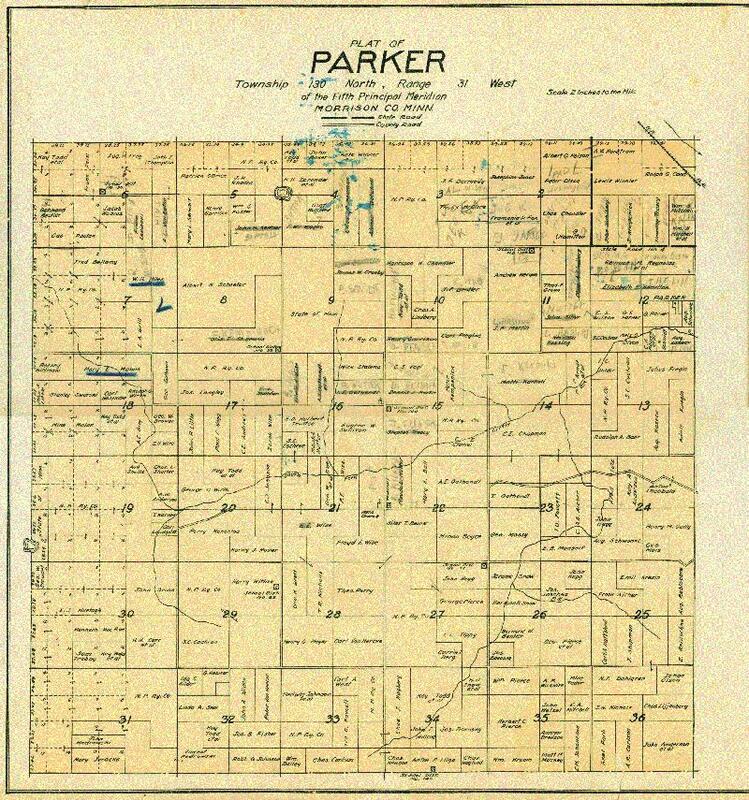 His mother, Kate Winker, owned 80 acres in Section 4. 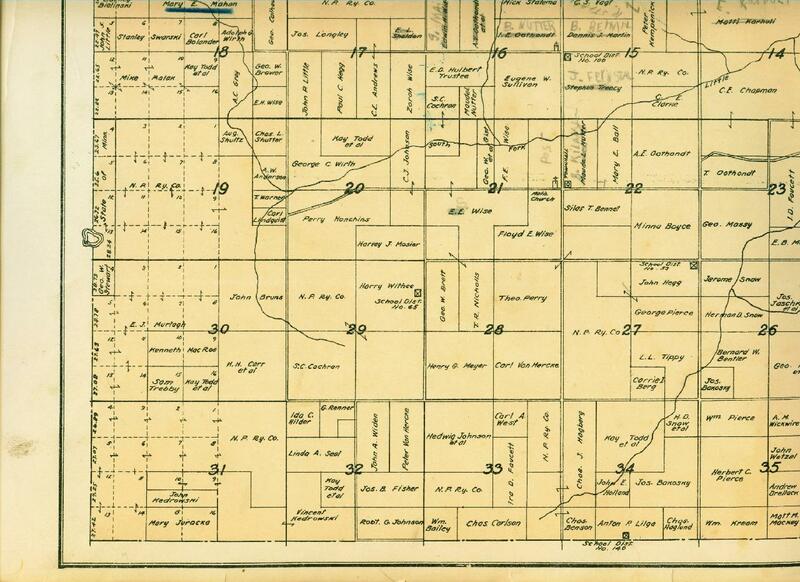 After Kate died in 1932, that property became the Winker family wood lot. Both pieces of property are in the Northeast quadrant listed below.